Health Forms and Records at MerckSource: Free health forms and records developed by Dr Savard to help you start tracking and managing your health. Please watch this video which provides a free tutorial by Dr Savard on how to take charge of your health ! I often have to provide a shoulder to cry on for my patients. Many of them are very unhappy with their previous doctors, and since I am a doctor too, I listen carefully to their tales of woe, to try to make sure I don't make the same mistakes with my patients ! Here are some of the things patients hate about doctors. 1. Endless waits - routinely, for no rhyme or reason. Many doctors seem to take a perverse pride in making patients wait. Patients need to be patient, but not in a doctor's "waiting" room ! This just reflects poor time management on the part of the doctor. 2. No explanations. Doctors are very used to having their orders being followed, so they just tell their patients what to do, without explaining what or why. 3. No discussion of options. Many doctors are still very authoritarian, and expect blind obedience from their patients. They refuse to cosndier alternatives - or to discuss these. 4. Rude behaviour. Doctors like to project how busy they are and how valuable their time is, so they are often rude and inconsiderate. Perversely, their ability to keep patients "in their place" makes them feel important ! 5. Not explaining the cost. Some doctors think it is below their dignity to talk about crass matters such as money - while others use this as an excuse to extract every last penny they can from their patients. Patients expect to pay for medical services - they just need to know how much the cost is, so they can budget for it ! 6. No privacy. Some doctors believe in "multi-tasking" in order to improve their efficiency and their "patient through-put " - so they will often talk to two-three patients at one time. The least patients expect is undivided attention for a few minutes - but they often fail to get even this ! 7. Not listening. Many doctors feel they "know-it-all" and do not even bother to listen to the patient's perspective or feelings. Patients feel cheated when they cannot unburden themselves. Many senior doctors continue with these bad habits - partly because they can get away with this behaviour, and partly because they don't know any better. Unless patients learn to speak up for their rights, matters will enevr improve. I can understand why poor patients put up with such behaviour. Beggars can't be choosers, and they are so grateful for any care they receive at government hospitals, that they don't expect any better. But why do rich patients, who pay large fees to their doctors in posh hospitals tolerate such rudeness ? Unless patients learn to get off their knees, doctors will remain comfortably ensconced on their pedestals ! But I had full faith in my doctor ! I often see patients who have received poor quality medical care. When I ask them why their doctor did a particular procedure ( which was not necessary), they look non-plussed - and the standard answer is - "Because the doctor told me to !" When I enquire why they didn't check to see if the doctor's advise was correct, their stock reply is - "But I had faith in my doctor !" Yes, it is important to have faith in your doctor - and to trust him. But you need to be careful in whom you repose your faith ! If you find a good doctor, your faith will be amply repid - but what if you choose a bad doctor ? Unfortunately, patients are often not good at differentiating between good and bad doctors - and blind faith can prove to be expensive ! This is why it's a good idea to do your homework before going to your doctor - and also to verify everything he tells you independently. Doing your "due diligence" will pay off ! 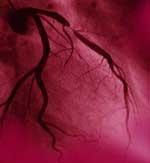 Many patients who get chest pain ( angina) get a coronary angiogram done, which shows blocks in their arteries. The doctors explain that it's this block which is impairing blood supply to the heart muscle, as a result of which they get pain. They then propose bypass surgery ( or angioplasty, depending upon if you are talking to a cardiologist or a surgeon !) to "bypass " the block, and cure the pain. This is a very convincing argument, and how can anyone argue with such clear pictures or such logic ? Block = pain; treatment = bypass block. Unfortunately, this argument has a major flaw. 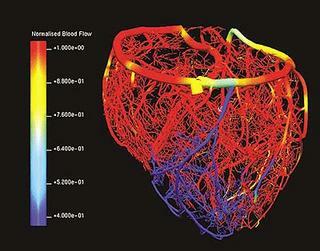 The angiogram only allows us to visualise the large arteries of the coronary circulation. However, the blood to the heart muscle is supplied through a dense network of much smaller blood vessels and capillaries which are too small to be seen on the angiogram. This means that the blocks in the large vessels seen on the angiogram meybe of no importance whatsoever in the individual patient. However, since we cannot see the small vessels ( even though these are much more important), we spend time, money and energy on bypassing the unimportant blocks - after all, if you have a hammer, you go around looking for nails ! This second image, which is a cast of the coronary circulation shows the important blood vessels which nourish the heart - and you can see that these are not "seen " at all on the angiogram ! "Say Goodbye to your Annual Physical". Medfools : "Say Goodbye to your Annual Physical". Is it surprising to know that for over ten years the US Preventative Task Force Service has stated that there is no evidence for annual screening physical exams! This is reiterated in a recent story in the Archives of Internal Medicine that states that there is no evidence that annual routine physical exams prevent or detect treatable disease. Despite the evidence for “lack of evidence”, most (65%) of physicians surveyed stated that annual exams (asymptomatic patients) are necessary. Fifty-five percent disagreed with statements from national organizations that do not recommend annual physicals. Is it because annual exams give opportunities for lifestyle counseling, and building relationships with patients? Maybe. Funny, even though everyone is all about EBM that even physicians can stare it right in the face and go against it! What it feels like going to a doctor Excellent advise from a professor to medical students. " Finally, I'll just add one more interesting comment that was made by a professor earlier in the week. He was discussing communication between doctors and patients, which is obviously very important, and this professor depicted the relationship in the following way: Do you remember how you felt the last time you took your car to an auto mechanic? If you're like most people, you probably don't even know how to change your own oil, let alone fix some obscure engine problem. The mechanic can explain everything to you in perfect detail, but the jargon means nothing to you. All you want him to do is fix your car, do a good job, and not rip you off. This is how patients feel when they visit the doctor. They're helpless, and they're counting on you to do what's best for them." HHS - Hospital Compare: "Hospital Compare will help you compare the quality of care hospitals provide. " This is a US government initiative, which others organisations need to emulate. More power to the patient ! Every doctor has a favourite type of patient. Thus, many older doctors prefer passive patients, who will blindly trust their doctor and do everything he says, without asking too many questions. My personal favourite is the entreprenuer. Many of my patients are successful entrepreneurs, and they have certain traits which endears them to me as patients. 1. They believe in the value of information and knowledge, and seek to be well-informed. They are curious, well-read, ask questions, and do their research, so that they have realistic expectations of medical technology. It's much easier to treat them as partners ! 2. They are optimistic. Many IVF cycles do fail, as do many business ventures. However, they don't go to pieces when the cycle fails, because they are used to dealing with failure, and understand that each failure is just a stepping stone towards success. 3. They have a long-term perspective. They understand that reaching their final goal - getting a baby - may take time, and that there are many hurdles along the way. However, they are willing to devote the time and energy needed to tackle these hurdles. 4. They understand the concept of risk. They believe in "no pain, no gain" and that you do need to invest time, money and energy if you want to attain your goal - but even if you do your best, there is no certainty that you will succeed. 5. They understand that life is not always fair, and that outcomes are always outside an individual's control. However, performing the medical treatment process properly gives them peace of mind they did their best, so they can move on with their lives. 6. They are used to making their own decisions, just like they do in their professional lives. When running a business, they talk to their lawyer, banker and accountant - but understand that they need to make the final decison themselves. This is their right and their responsibility. They use the same approach when dealing with medical treatment, so that the treatment becomes a partnership between doctor and patient. 7. Because they are well-read and well-informed, they ask interesting questions - and expect me to be able to answer them. This keeps me on my toes, so I continue learning - after all, teaching is the best form of learning ! 8. They are articulate, and willing to provide feedback, so if the service we provide is sub-optimal, they let me know, allowing us to improve the care we provide all the time. Every good entrepreneur understand the importance of excellent customer service - and just like they provide it in their own businesses, they expect me to provide it when I am treating them. This allows me to run my practise so that it is patient-friendly, and I can adopt a patient-centric viewpoint . 9. They are willing to commit the time and resources needed to achieve success. They have a pragmatic philosophy towards life, which teaches me a lot about how to run my own. We all learn from one another - and I have learnt a lot about life and how to lead it from my patients. 10. On a personal note, they make excellent friends and counsellors. Since they have dealt with the ups and downs of quite a few businesses, they often have a detached and objective viewpoint, allowing them to offer me sage advise. SimoHealth: This is a great way of storing your medical records - free of charge ! An added bonus - it will also help you to make sense of your medical bills ! Here's a free guide to good health. It tells you what to do, when to do it, and helps you record it too. I will ask the 3 questions. I will bring a friend or family member to help me at my doctor visit. I will make a list of my health concerns to tell my doctor or nurse. I will bring a list of all my medicines when I visit my doctor or nurse. I will ask my pharmacist for help when I have questions about my medicines." Pfizer Clear Health Communication: "Understanding health information is everyone's right. For patients, it means being able to follow instructions from a doctor, nurse or pharmacist; manage a chronic illness; and/or take medication properly. For health care practitioners, it is about helping patients understand and act on health care information. Millions of patients encounter difficulties when they try to understand health information — which in turn has a negative impact on health outcomes and the entire health care system. As a result, Pfizer has taken a leadership role in advocating for Clear Health Communication. All health care information providers have a responsibility to ensure that the information given to patients is communicated in a way that is understandable and truly accessible." MSN Money - Haggle with your doctor, cut your bill: "Don't be cowed. Many consumers negotiate with physicians, hospitals and pharmacies to lower their bills. Here's how to do it successfully." Consumer Reports Medical Guide - Best Treatments: "Treatment options - When the best medicine is no medicine". " Physicians may also recommend treatments they know are unlikely to help simply because they find it easier and less time-consuming than explaining to patients why no treatment makes sense. For instance, doctors frequently prescribe antibiotics for viral infections, such as colds and the flu, even though all doctors know only bacterial infections respond to antibiotics. "Describing why antibiotics or other treatments are sometimes unnecessary may be time-consuming, but it's the right thing to do," says Nash. "And most patients, given clear information, would rather do what's best, especially if it means avoiding uncomfortable or potentially dangerous interventions." ( dysmenorrhea). Even though pain-killers are very effective in providing pain relief, they are so worried about the harmful side effects of these medicines, or that they may get "addicted" to them, that they tend not to use them. This is a major mistake and hampers the quality of their life. The trick is to take the pain-killers round the clock, before the pain starts, so that the blood levels of the pain killer is sufficient to provide effective relief. Since periods last for only about 3-4 days, they need to take only about 15 tablets every month, which means that the risk of addicition or side effects is minimal. And you don't get any medals for suffering through pain ! While often overused, antibiotics can be underused, too, particularly before a major operation. Infectious-disease experts have long recommended giving patients a preventive antibiotic during the 60 minutes before the initial incision, to reduce the risk of potentially deadly infections. A preoperative antibiotic achieves adequate blood levels at the time of surgery, thus preventing a postoperative infection. But surgeons followed that advice in only about half of cases, according to a study in the February issue of Archives of Surgery, involving more than 34,000 patients. If you’re about to go under the knife, make sure you receive a timely dose of an antibiotic. Which medical websites can you trust ? Here are some excellent guidelines from the Cancer Information Service. The growing popularity of the Internet has made it easier and faster to find health-related information. Although much of it is valuable, some of it is false and misleading. This fact sheet can help you decide whether information you find on the Internet or receive via e-mail is likely to be reliable. Who runs the Web site? Any Web site should indicate clearly and often who is responsible for the site and its information. On the National Cancer Institute’s Web site (www.cancer.gov), for example, the NCI is clearly noted on every major page, along with a link to the site’s home page. Who pays for the Web site? It costs money to run a Web site. The source of funding should be clearly stated or readily apparent. For instance, Web addresses ending in .gov are sponsored by the federal government; .edu indicates educational institutions; .org is often used by noncommercial groups; and .com denotes commercial enterprises. The source of funding can affect what content is presented, how it’s presented, and what the site owners want to accomplish. What is the purpose of the Web site? This is related to who runs and pays for it. Many Web sites have a link to information about the site. The link, often called “About This Site” or “About Us,” should clearly state the purpose and help users evaluate the trustworthiness of the information. What is the original source of the information? Many health and medical Web sites post information collected from other Web sites or sources. If the person or organization in charge of the site did not write the material, the original source should be clearly identified. How is the information documented? In addition to identifying the original source of the material, the site should identify the evidence on which the material is based. Medical facts and figures should have references (such as citations of articles in medical journals). Also, opinions or advice should be clearly set apart from information that is evidence-based (that is, based on research results). How is information reviewed before it is posted? Health-related Web sites should give information about the medical credentials of the people who prepare or review the material. How current is the information? Web sites should be reviewed and updated regularly. It’s particularly important that medical information be current, and that the most recent update or review date be posted. Even if the information hasn’t changed, it’s helpful to know that the site owners have reviewed it recently to ensure that it’s still valid. How does the Web site choose links to other sites? Reliable Web sites usually have a policy about how they establish links to other sites. Some medical Web sites take a conservative approach and don’t link to other sites. Some link to any site that asks or pays for a link. Others link only to sites that have met certain criteria. How does the Web site manage interactions with users? There should always be a way for users to contact the Web site owners with problems, feedback, and questions. If the site hosts a chat room or other online discussion areas, it should tell users about the terms of using the service. Is the service moderated? If so, by whom, and why? Before you decide whether to become a participant, spend some time reading the discussion without joining in. How can you verify the accuracy of information you receive via e-mail? Any e-mail messages should be carefully evaluated. The origin of the message and its purpose should be considered. Some companies or organizations use e-mail to advertise products or attract people to their Web sites. The accuracy of health-related information may be influenced by the desire to promote a product or service. It’s important to carefully consider the source of e-mail and other Internet-based information and to discuss the information with your physician. What does a nurse really do? What does a nurse really do? : "What does a nurse really do?" Read this to find out ! Nurses are one of medicine's most under-utilised resources - smart patients learn to make clever use of them ! What would an "Expert" suggest? Here's an excellent tip from Tom Robinson, the Chronic Illness Coach at www.chronicillnesscoach.com.
" When you're facing a difficult illness or life challenge, you may want to ask yourself what steps a person you respect for their ability to solve challenges like yours would recommend that you take. I believe that if you do that you will think of some useful ideas that you hadn’t thought of before. I learned this tip from Geoff Bell, a consultant I highly respect. He worked with a client who later told him that about a series of decisions she had made that she was proud of; they had produced excellent results. She said she made the decisions based on what Geoff, whom she had come to respect and admire, would have suggested. He congratulated her on her success, but told her that what she had done was much more effective and creative than what he probably would have suggested. I'm not suggesting that you stop consulting your "expert," who may be your pastor, your therapist or counselor, a current or former teacher, or some other professional whom you trust and respect. But if you ask yourself what that person would suggest that you do to solve your problem, you very well may come up with a suggestion as good as or even better than what your expert would think of. " This imaginary expert would be like the "imaginary friend" so many of us had when we were children ! Why blame the doctor ? As an IVF specialist, I often see infertile patients who have received very poor quality medical care. They have no medical records, and many of them have done IVF cycles elsewhere without even knowing how many eggs were retrieved or what the quality of their embryos was ! When I ask them why they are so poorly informed, most have a stock answer - "The doctor did not tell us !" I ask them, " Why did you leave everything upto the doctor ? Don't you have a responsibility for doing your homework and being well-informed about your problem and its treatment ? " Most refuse to accept this, and are happy to blame the doctor for providing poor quality care. This upsets me. Blaming the doctor doesn't help anyone - and in any case, you cannot change anyone else - you can only change yourself ! I tell them - "Everyone is allowed to make one mistake once - smart people don't repeat the same mistake again. " We all know about "bad doctors " - doctors who are rude, incompetent, negligent, poorly informed, and so on. How come there is so little written about the "bad patient", however ? Just like good patients get the best medical care, because they are well-informed, well-organised, do their homework and get a second opinion, isn't it also true that sometimes the care a patient receives is not very good because the patient himself is bad ? In my book, bad patients would include those who: blindly believe their doctors; don't do any homework about their problem; don't ask for explanations or second opinions. If a bad patient gets a good doctor, he'll be fine, but what happens when a bad patient selects a bad doctor ? And who is to blame ? "If I could say only one thing to cancer patients who want to live (not everyone does), I would repeat the words of the wise man who spoke to the cancer patients in the Commonweal Cancer Help Program. Never give up hope. You can fight for your life, even in the face of tremendous odds. Give yourself permission to hope, even in the face of all the statistics that physicians may present to you. Statistics are only statistics. They are not you. There is no such thing as false hope. I saw the truth of this in my father's experience, and in the experience of many other people with cancer who have far outlived their prognosis." Hope is a powerful therapeutic tool - and doctors need to learn how to use it wisely ! This excellent guide will teach you that negotiating with your doctor is important to creating a win-win situation ! and between office and surgery. Doctors will need to become much more patient-friendly ! so they can meet their patients' demands. Emanuel and Dubler identified the 6 Cs which form the foundation of a good doctor-patient relationship. ■ Choice—physicians and treatment options. ■ Competence—expected of doctors by patients. the patient’s pain or problem, and communicate.